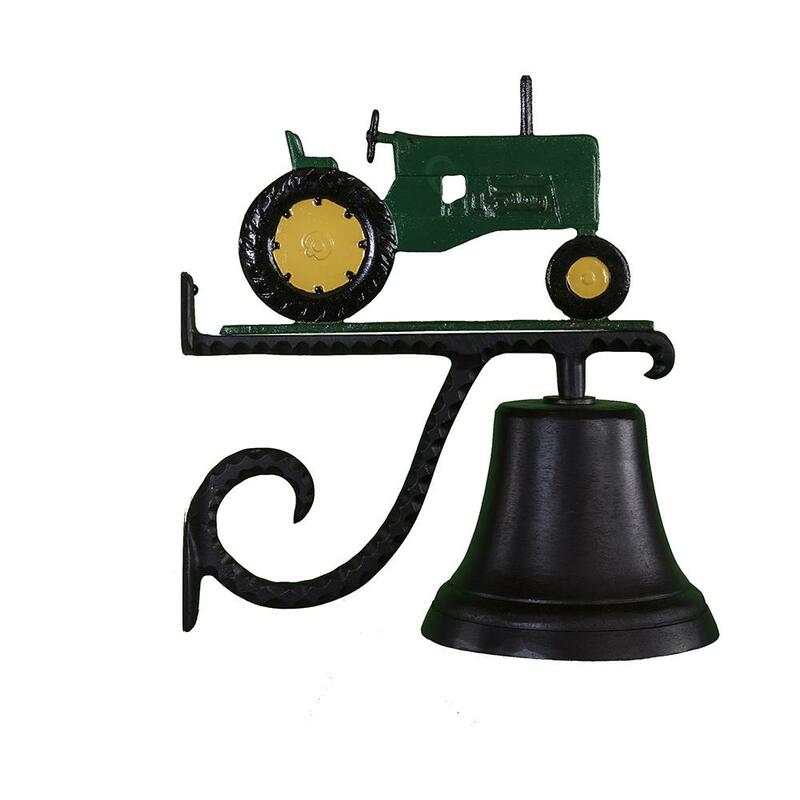 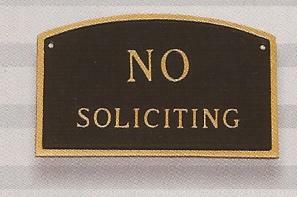 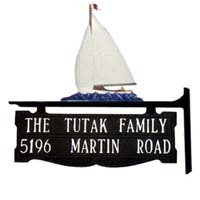 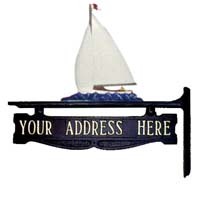 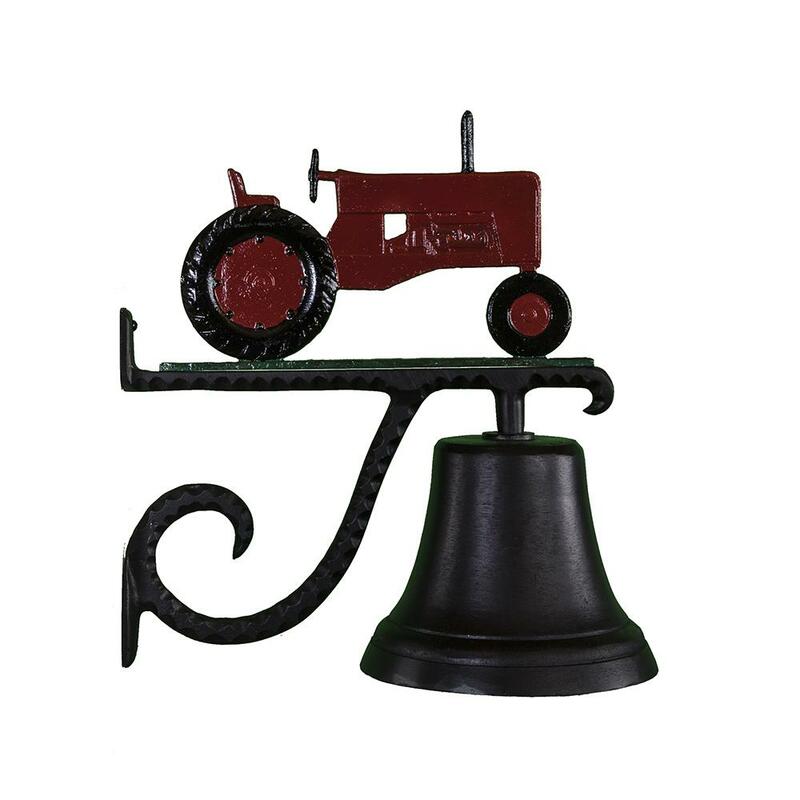 This real country bell manufactured by Montague Metal Products, Inc. in Montague, Michigan is a beautiful country decorative piece for inside or outside your home or farrm. 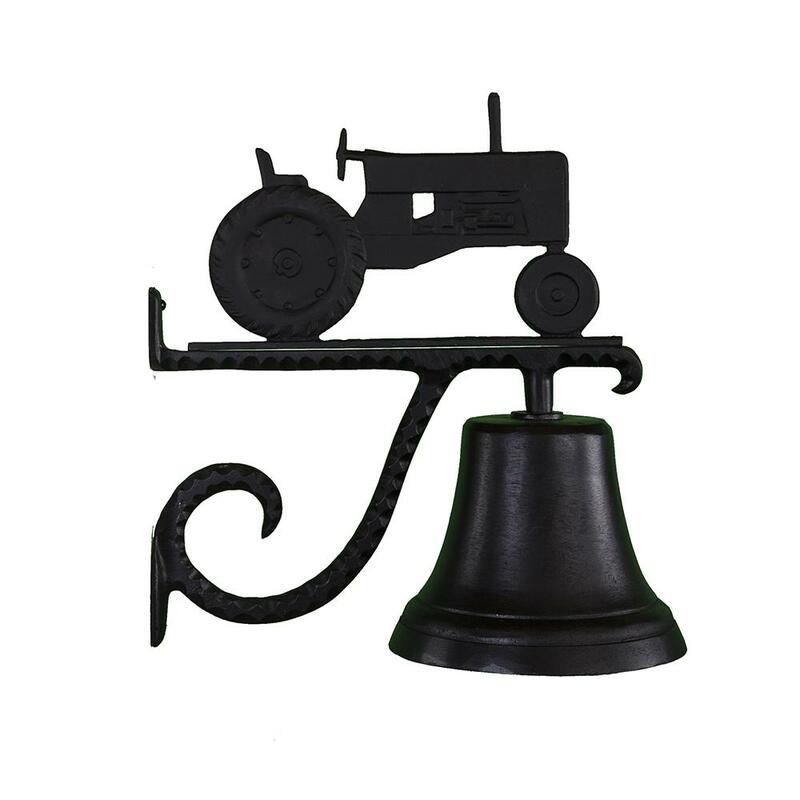 Country Dinner Bells provide a warm, nostalgic look and the rich sound of a real ringing dinner bell. This dinnerbell features a farm tractor ornament on top. 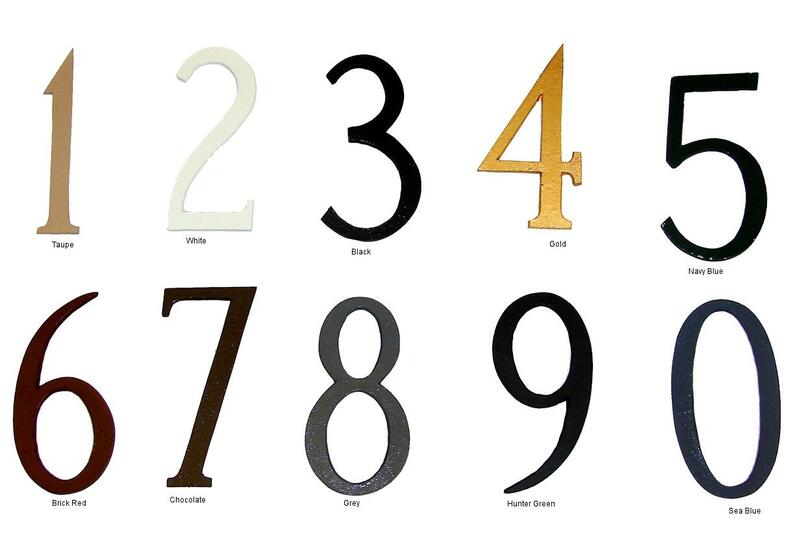 Available with Black Ornament, Gold Colored Ornament or Color Ornament. Tractor Colors: Green, Orange, or Red.